Errors happen. Thankfully, computer errors are unlike those that occur in life. With computer errors, the feedback is instantaneous. 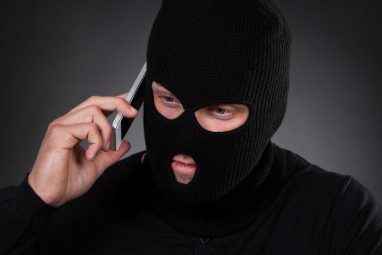 It is in the form of an alert message or a deviation in behavior. 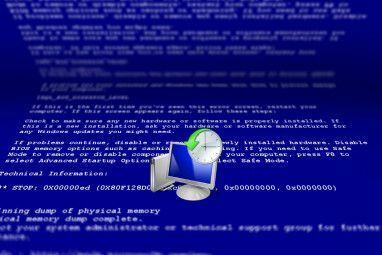 The most commonly frightful one could be the “˜Blue Screen of Death’ which Windows users are accustomed to. Errors are also more clearly expressed in the form of error codes. Microsoft error codes signal a fault of a specific nature. The fault could be due to a wrong user input, or a problem with an installed software or hardware. 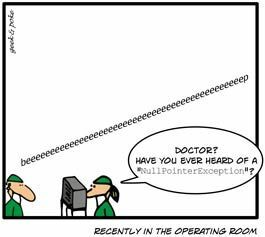 But error codes have a very important function. 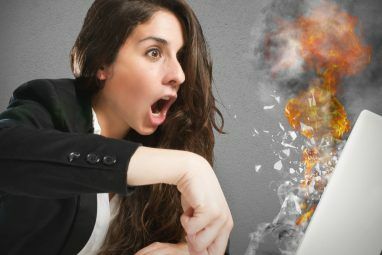 They are meant to be hints for troubleshooting Top 10 Sites for Computer Troubleshooting and Tech Support Top 10 Sites for Computer Troubleshooting and Tech Support Things go wrong. When it is a computer it can bring our life to a standstill. Here are the top 10 troubleshooting sites for your tech problems on the web. Read More . The computer tells us – Okay, this is the problem right now. This could be the cause. Error codes narrow down the troubleshooting steps we need to take. Then again, it is not only for the support guy or the technician. We, the normal users, can take the help of the web to understand what the error codes mean and do a bit of self diagnosis. With some luck, we might not have to punch in a SOS. These ten web resources could help save your day. ErrorGoblin presents a simple search bar. Type in the Windows system error code and it displays the reason. The search field takes in the value of the error code in the 0xn or 0xen formats where n is a number. The tool is a quick way to search for a problem because you don’t need to log-in or trawl through a list. ErrorGoblin may not always return a result. In that case you can mail them your error code and they will add it to the database. ErrorKey covers a lot of ground by allowing you to search errors across many systems like Oracle, Sybase, DB2, HTTP, Flash, SAP DB, as well as Microsoft error codes. Uniquely, it also fields error help for several automotive sensor systems. You can give the error code number or type in the error text. The site uses its own database and also Google custom search to look for the meaning of the error codes. You need to login to see the full explanation of the error. See our directory mention here. Previously known as Bug.gd, ErrorHelp has been renamed. The database and function remain the same. The error guide also gives you a Firefox and IE7 search extension. ErrorHelp has a section on solved errors, which is a huge knowledge base in itself. The site lists about 130,414 errors and their solutions. Users collaborate on the solutions and they can vote in to say that the solution mentioned really works. The site also asks you to share how you solved an error. From the search field, you can also search for Apple and Linux errors and also do a Google search. EventID’s are the unique numbers that correspond to any significant happening in a Windows system or a program. This information gets logged. EventID is a rich reference for these logged events. We have seen the troubleshooting utility of Windows Event Viewer in How to Solve Any Windows Problem with Event ID How To Solve Any Windows Problem with Event ID How To Solve Any Windows Problem with Event ID For every Windows crash there's a way to lick the problem without dialling assistance. Read More . The site has a record of 10,569 event IDs and 500 event sources with a lot more info provided by contributors. On EventID, you can also search error codes other than Windows event IDs. The HTTP codes are the ones you most commonly encounter when a webpage is inaccessible or an entire website is down. HTTP Status codes are the error messages returned by the server to the browser when the target website does not load properly. It usually includes the HTTP Status code and the reason like “˜Internal Server Error’ or the famous “˜404 Not Found’ error. If you want to quickly look more deeply into the HTTP error, Wikipedia has a neatly arranged list of the codes. Probably after the 404 Error, this is the most common kind. We have all seen it sometime or the other when a mail is left undelivered or simply bounces. SMTP errors define the system status between the email server that sends the email and the email server that receives it. Usually we don’t pay attention to the three digit error code. But if you want to, the About.com page is a good place to understand the meaning. Each digit in an SMTP error code means something and in combination they tell us what went wrong and where. Computers still beep when they boot up. An irregular beep is a signal that there’s something wrong with the hardware. It could be a loose RAM (a long BEEP), or it could be something as serious as a faulty motherboard. The nature of the beeps may vary with the manufacture, but the above list compiles a few common ones. The site also gives a few solutions you can try out, if you are comfortable with opening up a computer. How do you walk around a Window’s freeze? Stop errors are quite common and they sometimes occur when you are installing Windows. But the one I dread is the “Stop 0x0000007B” error message. That means I have a boot sector virus. The link above lists out a lot of the Stop errors and their solutions via Microsoft support links. You can also take the help of the site’s search page. The Microsoft Support site comes with two types of error lookup. In the Basic search, you just need to type in the error code. The Advanced search gives you the option to narrow it down by product and the Microsoft locations you want to search like Microsoft Answers & Windows Online or solutions from the Microsoft community. A generic search for the error taps into other knowledge sources like discussion boards and Q&A websites. Also using a normal search engine like Google, Yahoo, and Bing can direct you straightaway to the product’s homepage. For example, peripherals like printers maintain their own lists of error codes. Where do you go in search of error codes and their deeper meanings? No it's not. I kept that space for Google and other search engines.